Gail Miller, owner and chair of the Larry H. Miller Group of Companies Advisory Board will give the 72nd annual USU Eastern commencement address at 10:30 a.m. on Saturday, May 7 in the Bunnell-Dmitrich Athletic Center. Miller, wife of the late Larry H. Miller, is owner of the Larry H. Miller Group of Companies. 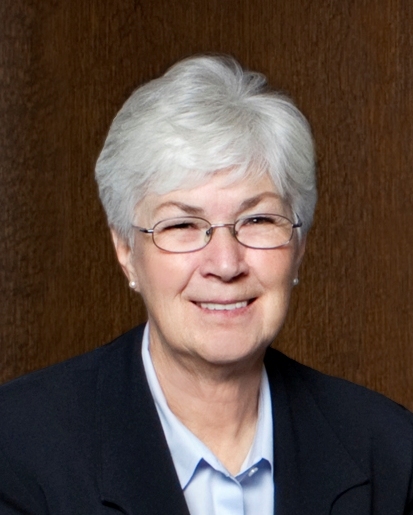 Her many accomplishments and civic service include overseeing the Larry H. and Gail Miller Family Foundation, serving on the board of trustees of Salt Lake Community College, and organizing The Rest of the Jazz – a nonprofit group that involved the spouses of Utah Jazz players in charitable work. This past year, she was named the Salt Lake Tribune’s Most Influential Sports Figure in Utah for 2009. A native of Salt Lake City, Miller was born sixth in a family of five boys and four girls. She attended Horace Mann Junior High School, where she first met her future husband. They dated while attending West High School, and upon graduation, Miller spent several years working for Mountain Bell Telephone Company. After six years of dating, the couple wed on March 25, 1965. In 1979, Gail and Larry Miller launched their own business with the purchase of Larry H. Miller Toyota in Murray, Utah. From its start as a single-dealership operation, the business grew over the past 30 years into one of the largest privately-owned group of companies in the nation, with Gail playing a significant role in its success and development. Devoted to her family, she enjoys spending time with her five children, 23 grandchildren and one great grandchild. Her hobbies include sewing, knitting, crocheting and scrapbooking. She is also interested in genealogy and promoting healthy lifestyle choices. In addition to focusing on her family, she finds fulfillment in providing civic, church and community service.